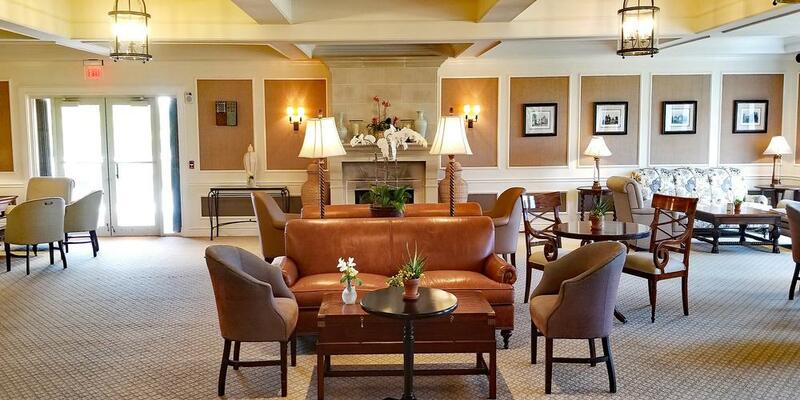 Frenchman's Creek Beach & Country Club in Palm Beach Gardens Florida is a private club that does not leave their members wanting; for anything. It's a "mandatory membership" community, meaning when you buy a home inside the gates, you are required to become a member. And, as you would expect, membership does indeed have its privileges. Especially at Frenchman's Creek. Frenchman's Creek gets its name from the small creek that runs through the community. Billy Hoyt, a son of the property's original owners, had placed a small sign on the creek back in the 1940s, naming it after one of his mother's favorite novels - Frenchman's Creek - by Daphne du Maurier. To this day, this small waterway still runs through the neighborhood and connects to the nearby Marina. Home prices range from $750,000 to over $5 million. 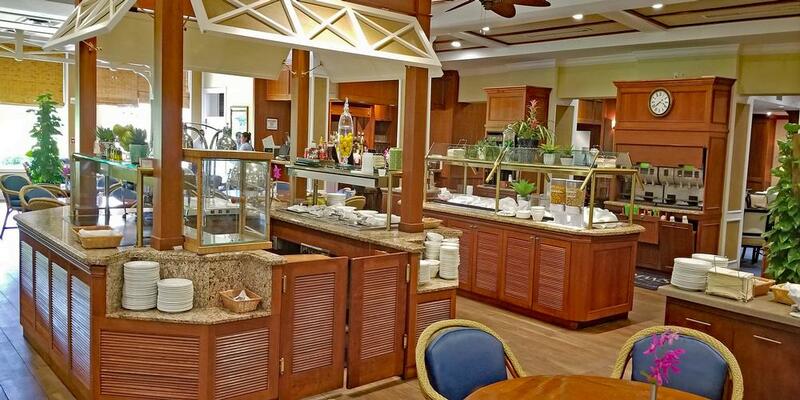 At Frenchman's Creek, you'll never have to cook breakfast again - unless you want to! Every morning of the year, members can enjoy a buffet-style breakfast that includes a wide assortment of breads, fresh fruits, pastries, cereals, and hot items as well as coffees, teas and espressos. It's one of the healthiest breakfast buffets I've ever seen! Lunch is also served in a unique way. Regardless of what your heart desires, from a peanut butter and jelly sandwich with chips on the side to filet mignon, medium rare with a backed potato and side salad, it's all the same price: $16.00. Everyone's heard the saying "service with a smile." It's more or less the mantra of the service industry and the benchmark that companies within the industry strive for, and very few achieve. That is not the case with Frenchman's Creek. They not only achieve it, they surpass it. I think a lot of this has to do with the people they hire; many of them are young adults from countries all over the world. We met people from Argentina, the Philippines, Germany, Austria and the good old U.S of A. They are here for a year, to learn the hospitality industry and see if they want to make a career of it. I met workers in Food and Beverage that had come over on a 1-year visa 20 years ago and are still at Frenchman's Creek Beach & Country Club. And most of all, they are extremely happy. Every employee you meet on the property seems genuinely glad to see you and is quick to chat it up if you like. There is no tipping at Frenchman's Creek; not the valet, wait staff or cart attendants. It's all part of the annual service charge members pay each year. Which brings us to another point about Frenchman's Creek: "No" is not in their vocabulary! Ask and you shall receive; whether it's your favorite bottle of wine at any of the six dining venues or a special order in the golf shop. Of course giving you a mulligan on a missed putt will be up to your playing partners! 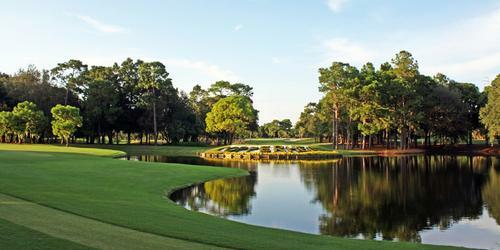 Frenchman's Creek is home to two championship golf courses - the North and South; the former by Jim Fazio and the latter by Bob Cupp. 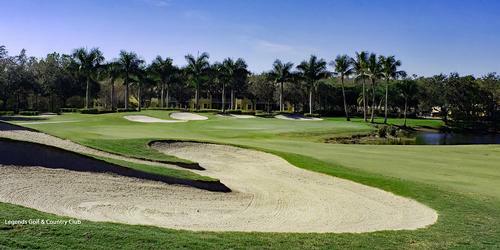 Both courses are immaculately manicured and challenging for all levels of golfers. 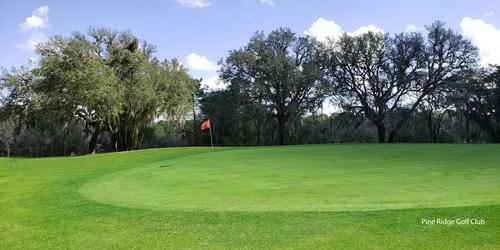 Each course has its own unique style and flow; creeks and lakes intertwine with the native landscaping and wildlife and deliver a wide variety of challenging holes. The South Course is a Bob Cupp design that utilizes 7 sets of tees and can be played just about anywhere from 7,034 yards down to 4,540 yards. 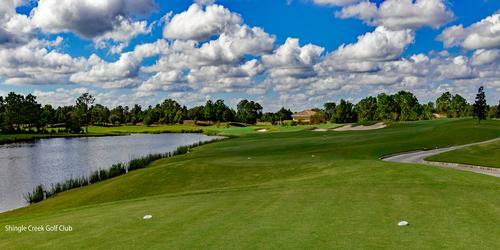 The signature hole on Cupp's South Course is the par three 9th which can play anywhere between 80 - 184 yards. 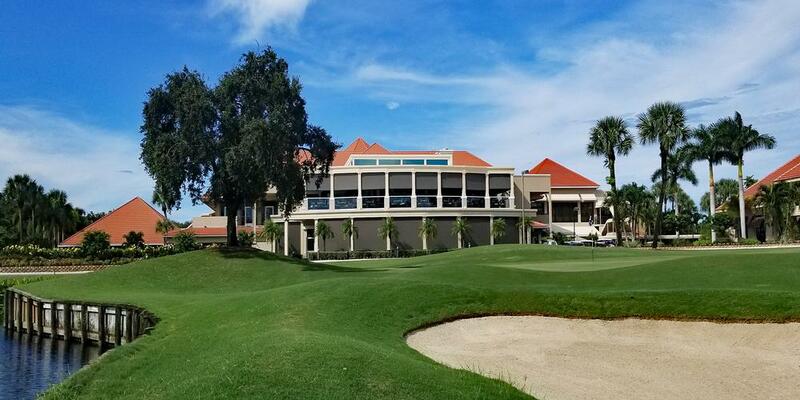 It's a beautiful golf hole that plays over water to a peninsular, gradually sloping green with the Frenchman's Creek clubhouse serving as the backdrop. There's not a lot of bail out room to the left or right and if you hit it short over the water, you may very well find sand. 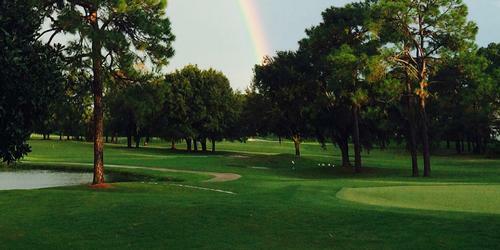 Front right, back left and back right pin positions offer your best chance at par or better. Golf's not your game? How about tennis? Frenchman's Creek's tennis facility includes 16 Har-Tru tennis courts, 9 of which are lighted for evening play. Har-Tru courts provide a cooler playing environment, a slower ball speed, are quick drying and offer a comfortable playing surface. There are also pickleball and bocce courts. Frenchman's Creek is the first club in South Florida to play pickleball on a Har-Tru surface, creating a similar feel to tennis. If you like to play competitive tennis, there is a lot of interclub play. In 1986, a parcel of oceanfront property was purchased directly adjacent to the Atlantic Ocean and the Beach Club was built. Just another treat at Frenchman's Creek. It's located about 5 miles east of the community's front gates, near the Juno Beach Police Department. The Beach Club offers direct access to the aquamarine waters of the Atlantic Ocean. And just because you wandered outside the gates of the Frenchman's Creek community, doesn't mean you sacrifice the concierge service they are known for. The Beach Club's staff places lounge chairs and umbrellas directly on the sand for your relaxation and pleasure. They also offer pool side, beach and full cabana service. Inside the front door is the Beach Club's first-class restaurant, a well-appointed and spacious room with plenty of seating. The bar is stocked with top shelf, ultra premium liquors and your favorite glass of wine can be ordered by the glass or by the bottle. Dishes are prepared with the freshest produce, meats and seafoods. A lot of the seafood and fish is locally caught and much of the produce is locally grown. From the moment you arrive at the Beach Club until the moment you leave, your every need is attended to, making it the ultimate in coastal living. 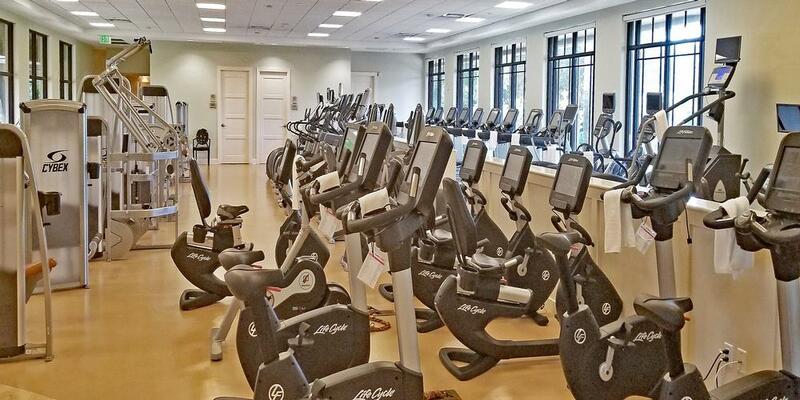 As I mentioned, Frenchman's Creek is a mandatory membership community. Members pay an Equity Fee, a portion of which is refundable and the non-refundable portion is a contribution to the Capital Reserve Fund. Members are billed annual club dues and POA maintenance fees established by the annual operating budget. 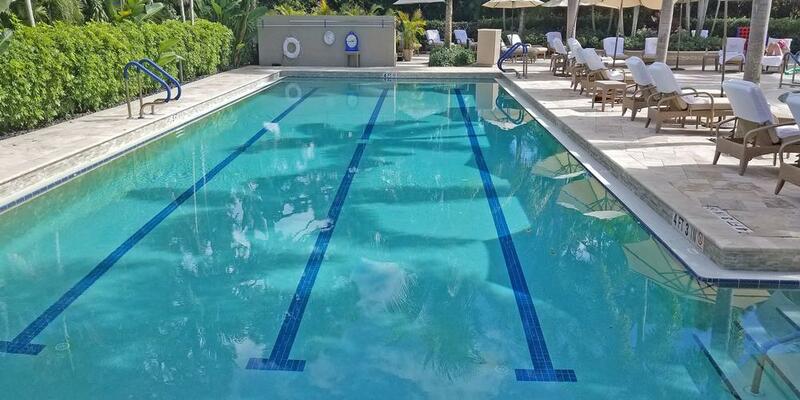 For more information or to arrange a visit to the property, visit their website, www.frenchmanscreek.com or give them a call at 561 622 8300.